Giamso works hand-in-hand with their customers to secure the best rates possible. At Giamso, you can be assured that you are getting the best value for money. Depart by scheduled flight for Penang - " Pearl Of The Orient ", a premier food destination. Meet upon arrival, transfer to hotel. Rest of the day free at own leisure. Pickup from the hotel at about 1630 hours and take a scenic drive across Penang Bridge, 13.5 km in length, making it the longest in Malaysia and fourth longest in South East Asia. On arrival in Nibong Tebal, a small tranquil town situated in Seberang, surrounded by oil palms, fishing villages dotting along the Kerian River. Take an exciting boat ride along the Kerian River and experience the local way of life. Visit the largest fish farm in the sea and enjoy fish feeding, view the spectacular sunset, contiune our criuise along the mangrove swamp and watch the dazzling display of the fireflies. Enjoy a chinese dinner (pork free) at one of the local open air restaurant. Then, take the oldest service ferry serivice in Malaysia, the famous Penang Ferry which links the mainland to Penang Island. Board the ferry at Sultan Abdul Halim ferry terminal in the mainland and cruise to Raja Tun Uda ferry terminal at Weld Quay in George Town. On approching Penang Island, enjoy spectacular night view Penang Bridge and George Town. This is a Free day at your own leisure. Bid farewell to Penang as you transfer to the airport for your flight back. 1) Please bring along additional set of clothes, insects repellent, umbrella, cap and drinking water. 2) The return journey from mainland back to Penang Island by ferry service is subject to change to overland transportation services if there is a long queue at the ferry terminal. 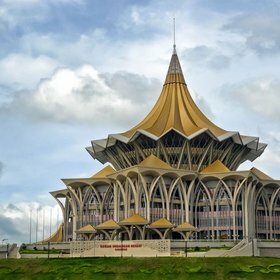 Depart by scheduled flight for Kota Kinabalu, the state capital of Sabah, also known as ' The Land Below The Winds '. Upon arrival, welcome by our representative and transfer to your choice of hotel. After breakfast, check-out from the hotel and transfer to Sutera Harbour Jetty for an exciting day at the beaches. Board a luxurious 40 footer catamaran and enjoy a short cruise across calm open sea to Mamutik Island. Luxuriate on the sandy beaches, swim in crystal clear water and enjoy a variety of water sports (own expenses). Snorkelling amidst myriad of exotic fishes or explore rich coral reefs on the island fringes. BBQ lunch will be served at the island. Enroute back to the jetty, make a brief stop at Manukan Island for an exciting experience of hand feeding the fishes. Thereafter, take a leisurely drive through scenic countryside and across mountainous Crocker Range to Pine Resort, Kudasang (or similar class). Situated atop a hill at 5,000 feet above sea-level, the resort commands a spectacular view of the majestic Mount Kinabalu and the lush vegetables farms of Kundasang. Take-in the cool refreshing mountain air and this evening enjoy a delicious steam-boat dinner, where fresh green vegetables are in abundance. This morning, rejuvenate your body and mind at the Poring Hot Springs, a natural health spa where you can relax in open-air Japanese-style hot tubs set amidst a tropical rainforest setting. There are a few private huts for rental, where you can enjoy your private bath. For a close look at nature, take to the 41m high Canopy Walkway which offers spectacular views of the lush Borneo Rainforest. Transfer back to the resort for check-out, followed by lunch. Take a short drive to Kinabalu National Park Headquaters, Malaysia's first World Heritage Site that offers mega bio-diversity of flora and fauna, a paradise for nature enthusiasts. On arrival, visit the Exhibition Hall and then proceed to the view point for a panoramic view of the surrounding lush landscape and Mount Kinabalu, rising majestically into the sky at 4095m, which often shrouded in mists and clouds. Drive back to Kota Kinabalu city and check-in hotel. Tonight, transfer to the popular Grand Port View Seafood Restaurant, where you will enjoy a sumptuous seafood dinner and aslo watch a colourful cultural performance. Bid farewell to Kota Kinabalu as you transfer to the airport for your flight back. As one of Singapore's largest travel agent and tour operator, we offer the widest choice of destinations from the mainstream to the exotic ones. While we explore new destinations and venture into opening the roads less travelled, we consistently review and revisit existing ones with new itineraries and experiences. By maintaining a strong marketing and communications link with our customers, prospects, business partners and the general buying public, we attain top-of-mind recall as a reliable travel agency providing quality packages at value-for-money prices. For the past 48 years, we take pride in satisfying and surpassing our customers' expectations with tour experiences that get them to return time and again. We were also the first to set up a sophisticated online travel infrastructure and a call centre as part of our continuous efforts to offer seamless travel experiences from the first touch point to utilisation of service. Upon arrival, meet up with our representative and take your SIC transfer to your choice of hotel. Free at leisure after check-in. Free at leisure. You may wish to join an optional tour to explore Penang. After breakfast, free at leisure until SIC transfer to the airport for flight home. Visit the Fort Cornwallis, Weld Quay, Khoo Kong Si, Little India, Penang Museum and the Art Gallery. Taste Penang's essence a take a step back in time at the buildings of yesteryears. Visit the Penang Hill, about 2750 feet above sea level, where passengers will be brought to the top by a funicular train dating back to 1923. Hit the waters at Pulau Payar, 2km long and 250m wide. Buffet Lunch provided. Dive into Pulau Payar and see up to 36 different kinds of corals present in a spectrum of colors. Buffet lunch provided. Upon arrival, you will be transferred for check-in hotel by seat-in-coach. In the afternoon, proceed to KLIAS Wetland, a mangrove forest reserve rich with river wildlife and birds. Upon arrival, enjoy an authentic Malay style afternoon tea amidst picturesque rustic surroundings. If the weather permits, take a ride in an electric-powered boat to embark on a journey in search of long nose Proboscis monkeys and admire the beautiful sunset. Thereafter, behold the rare sight of groups of dancing fireflies on both sides of the forest which look like a star-studded night sky. After breakfast, transfer to Sutera Harbour Jetty for an exciting day at the beaches. Luxuriate on the Sandy beaches, swim in crystal clear water and enjoy a variety of water sports (own expenses). Snorkelling amidst myriad of exotic fishes or explore rich coral reefs on the island fringes. BBQ lunch will be served at the island. This morning, visit Kota Kinabalu Park. You can admire the spectacular scenery from the peak and be charmed by the legends and myths that surround it. Explore the Local Wholesale Market for freshly harvested fruits, vegetables and other local produce in Kundasang. Next, relax your body in a famous Poring Hot Spring. Soak away your stress with the running hot sulphuric water said to have healing effects. Besides the hot spring, you may also climb the Canopy walkway which is 41 meters above ground level to observe the wildlife without disturbing them. Free at leisure until SIC transfer to airport for flight home. Upon arrival, meet up with representative and take your SIC transfer to your choice of hotel. In the afternoon, embark on an exciting Santubong Wildlife Cruise which takes you along the rivers of the Santubong Peninsular, offering you a chance to see some of Sarawak's fascinating wildlife. The cruise criss-crosses the mouth of the Santubong River where the rare Irrawaddy dolphins are often be seen swimming and diving. Your boat then cruises along the mangrove river banks in search of the big nose Proboscis monkeys. As dusk falls, we will watch the fire-flies moving among the branches of the mangroves and we might even see crocodiles, which can be easily spotted using powerful torches which reflect their eye shine. This morning, visit Anah Rais longhouse, which stands on the same site where it was built 200 years ago. It has a unique architecture, built mainly of bamboo, wood and leaves. Next, visit Semonggoh Wildlife Rehabilitation Centre, which provides a rare opportunity to be at close encounter with the semi-wild orang utan, who have been rescued from captivity and trained to survive in the surrounding forest reserve. “Truly Asia” slogan is definitely suited best to describe Malaysia. This country is a melting pot of many cultures, such as Malay, Chinese, and Indian culture. 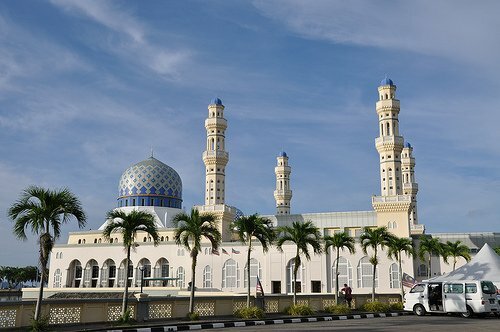 Multiculturalism in Malaysia then could be seen in how modern skyscrapers are built next to glorious mosques, as well as Chinese and Hindu temples. Dense forest of tropical country also has special place in this country. 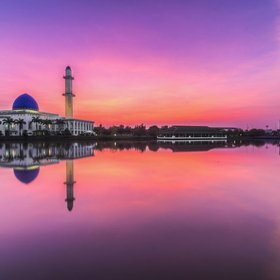 With all of those attractions, you can experience the most fascinating and adventurous tour in Malaysia. 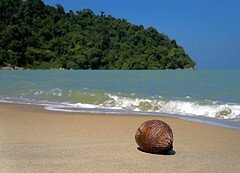 If you want to spend holiday in Malaysia, it is better for you to choose one of holiday packages that is provided by travel agents. Most of Malaysia's tour packages will surely list a visit to the main icon of Malaysia, Petronas Twin Tower. Besides, you also can fill up your luggage with various things from shopping centers around Bukit Bintang and Kuala Lumpur City Center (KLCC), as well as from cultural market at Central Market, Chinatown, and Little India. Pamper yourself with local food that is offered along Jalan Alor, Kuala Lumpur. You also have to visit Pahang state, which have many tourist destinations, such as Genting Highlands, Cameron Highlands, Taman Negara, and Tioman Island. You can enjoy cool nature ambience in Sabah state by visiting Kinabalu Park, Sipadan Island, Sepilok Nature Reserve, Kinabatangan River, and Tunku Abdul Rahman Marine Park. Do not forget to let your children to have fun at Sunway Lagoon, LEGOLAND and Hello Kitty Town. If you have spare time, you can also try to dive in Redang Island.